This guide will help you install SJ Categories Tabs for K2 step by step. For devices have screen width from 992px up to 1199px. For devices have screen width from 768px up to 991px. 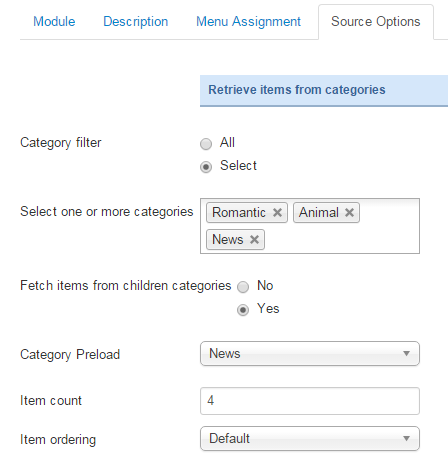 Fetch items from children categories – Allow to fetch items from children categories or Not. Item count – Allow to set total of items to be shown by module. 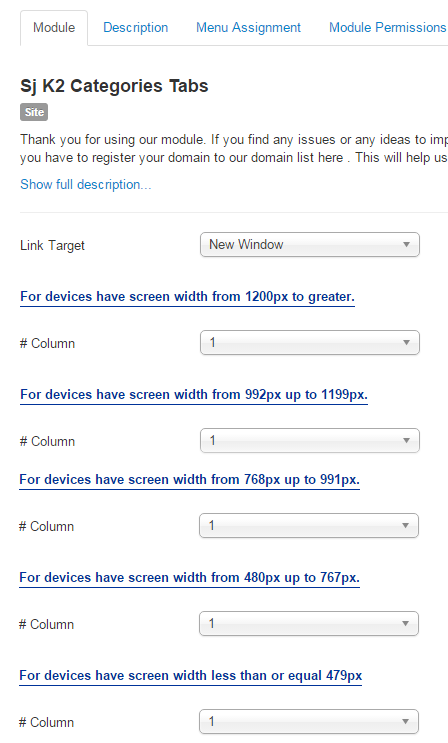 Item ordering – Allow to choose items show on frontend. Display Title – Allow to show/hide title of items. 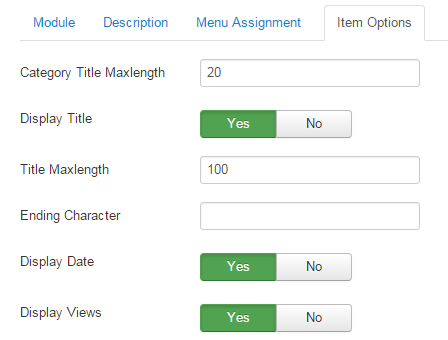 Title Maxlength – The maxlength of items’s title. Set “0″ to show full title. Ending Character – Ending Character when using the truncating the title. Display Date – Allow to show/hide date of item. Display Views – Allow to show/hide views of item. K2 Image – Allow to show K2 items image OR not. K2 Image Size – Allow to choose size of image: original/Extra Small/Small…. Inline Introtext – Allow to show image inline introtext OR not. Inline Fulltext – Allow to show image inline fulltext OR not. User Default Image – Allow to choose User Default Image or not. Keep Transparency – Allow to keep images transparent, for PNG and GIF format. Auto Play – Allow you to set autoplay for slideshow. Auto Interval Timeout – Allow to set the speed of timer. Larger = Slower. Pause on Hover – Allow you to set pause being hovered OR not. Auto Play Speed – Allow to set speed of auto play. 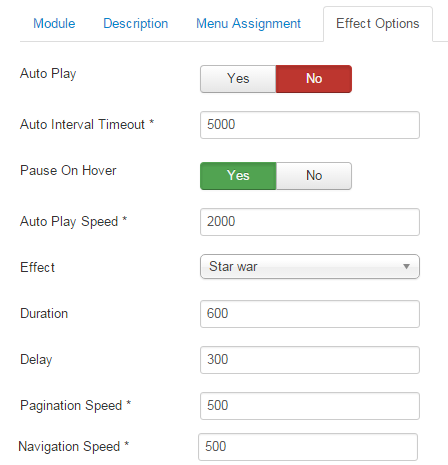 Effect – Allow to choose the effect for the module.. Duration – Allow to set how long animation will run (Lager = Slower). Delay – Allow to set a timer to delay the excution of the next item in the queue (Lager = Slower). Pagination Speed – Allow to set Pagination Speed for slider. Navigation Speed – Allow to set Navigation Speed. 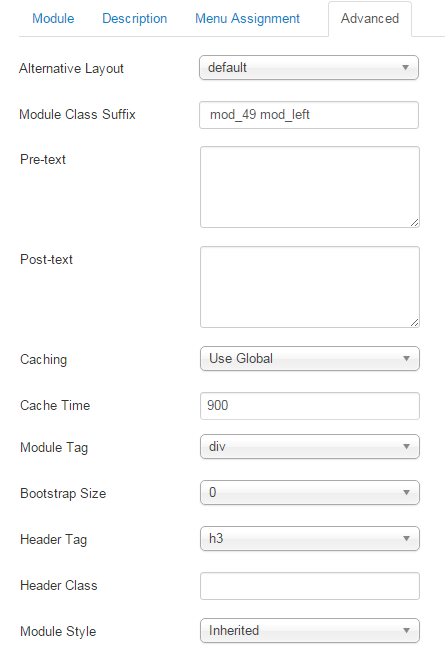 Module Class Suffix – Allow you to choose another CSS class that suits your template.